Web Site Design for Professional Photographers Because prospective clients are relying more on the Internet to select service providers, having a highly visible, accessible web site is essential for photographers in every field. Your web site is your new storefront, and this book will show you how to make it work for you. 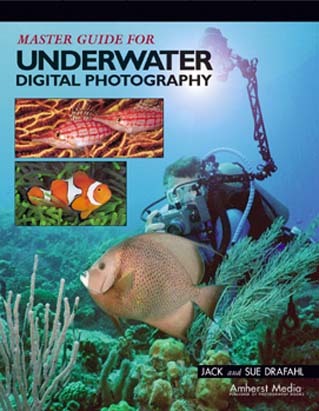 Master Guide for Underwater Digital In recent years digital cameras have profoundly altered the evolution of underwater photography. In this book, the Drafahls show you how to make the most of this exciting new technology, with tips for purchasing gear, selecting camera settings, and taking your first dive with a digital camera. 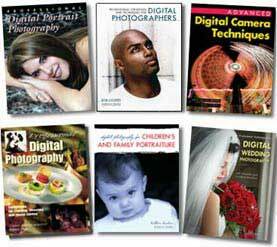 Also included are exposure techniques, lighting tips, and ideas for close-up and super-macro photography. Packed with dramatic images and clear, step-by-step techniques, this book will both inform and inspire underwater photographers of all skill levels. 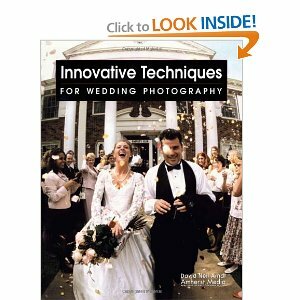 Innovative Techniques for Wedding Photography Instead of static, posed wedding portraits, photographers can now learn new and creative techniques to add that updated edge clients demand. Styles such as photojournalistic, architectural, romantic, fine art, avant garde, and advertising are discussed, as are techniques for taking fewer posed pictures, using wide-angle and telephoto lenses, creating informal group shots, and shooting from unusual angles. Photographers will also learn how to create storytelling sequences, grainy silhouettes, and wide-angle panoramas. Professional advice, images, and techniques of over a dozen top wedding photographers explain and illustrate how photographers can spice up their pictures and attract new clients. Stock Photography: Pro Tech & Images Renowned stock photographer Ulrike Welsch teaches you how to take the images that will find a market in the highly competitive world of stock photography. Covers: travel tips, composition, selecting subjects, and defining your market. 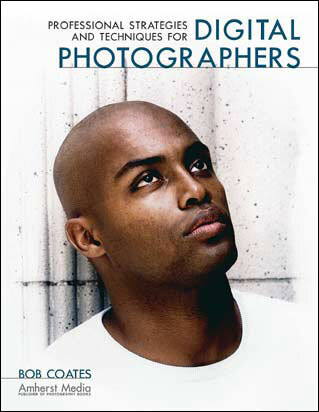 Studio Lighting: A Primer for Photographers If you're ready to delve into the world of studio photography and gain a better command over your images, this is the book for you. Whether you set up a temporary space in a living room or rent a commercial space, this guide will aid you in selecting equipment, maximizing your creativity, and fine-tuning your images-from still life's to portraits. Pro Strategies and Techniques for Digital Photographers Featuring images and techniques from portrait and commercial artists, specialists in the field of color management, aerial photography, nature and wildlife photography, and more, you will learn to refine your technique, use the technology to its full potential, and stretch your creative boundaries.